Etisalat Nigeria offers a number of affordable internet browsing plans plus the blackberry internet option which etisalat blackberry subscribers in Nigeria can now enjoy for for as low as N1300 per month. 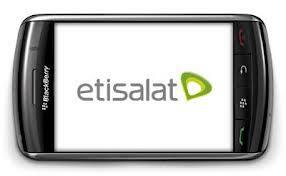 A summary of the various subscription plans for Etisalat Nigeria’s BlackBerry services are as shown below. subscribed for the monthly plan which cost 1500 but only 1000 was deducted; why is this so? What plan can give me unlimited download? Does it work with tablet pc andriod? ?